It takes work to be a socialite, but a close look at our socialites indicates a certain pattern, they are all going down and at this rate, we might not have any left. Ivan Semwanga - He came and left a mark, many are now trying to replace him, but the results so far indicate, there can only be one Ivan Semwanga. Zari Hassan - The mom of five is still standing and not about to go anywhere, as if she knew that the curtains for her late hubby were about to fall, she changed lanes very fast doing her thing with Tanzanian Bongo flava star, Diamond Platnumz with whom they now have two children, she also runs Brooklyn City Colleges in South Africa that were left behind by the father of her three children, Ivan Semwanga. Judith Heard- She used to be a force to reckon before separating with her hubby, but now, she is trying to remain relevant by modelling something that she had kind of given up. Bad Black - Also called the 11billion shillings gal. While on duty, she landed on a one British businessman, David Greenhalgh, who found her goodies worth investing in all that dime, efforts of getting back the money failed, but she was jailed for four years in Luzira prison, bleached, enlarged her centerfolds and bought a few heels with the money, somehow, it all vanished and she is now back to square one. Meddie Ssentongo - He worked with Bad Black to enjoy the 11 billion, he is now trying out a few errands in South Africa. Katsha De Bank - He did his thing in South Africa, but was nabbed and he served his sentence, before that, he shipped his Bentley and Lamborghini to Uganda, but the cars have never been seen then, he is now humbled. 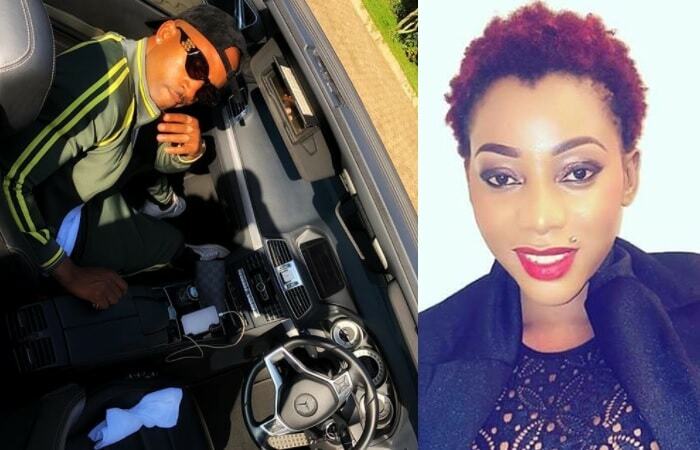 King Lawrence - He does his thing in South Africa too, just bought an AMG GT worth 400million shillings, he now prefers to hang with his latest girlfriend. SK Mbuga - Until yesterday, he has been the 'headboy' of this game, but with the latest developments of his wife being on wanted for having conned a Swedish politician, Sten Heinsoo, we could see his powers reduced too. Jack Pemba - His game is still not clear, but if you've been following him keenly, you will not fail to notice that he is being humbled. Mike Ezra - We all remember him very well when he displayed dollars in Ntinda and the last citing was when he was being cruized in an old Peugeot from a Kenyan court, not much has been heard from his camp since then..
Bryan White - New Kid on the block who has just been around for three months, but the amount he has spent in three months could even be more than some Government parastatals spend in a month.